Thanks again Sully! 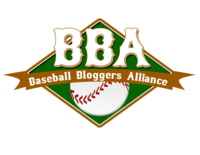 You can check out his website at sullybaseball.blogspot.com So little time…..so much to learn! BALK OF THE YEAR?….. PROBABLY …..
Justin Verlander ~ Just one of those days! The incident happened during a recent game between The Detroit Tigers and the Oakland Athletics. Justin Verlander threw the unwieldy pitch behind David DeJesus and it was initially thought DeJesus was hit and he was sent to first base; however, on review, the officials ruled that a balk had indeed been committed, DeJesus had not been hit, and he was called back to the batters box. The fellow who had been on first base advanced to second. I’m sure we’ll be seeing this play in the recordbooks for years to come; probably one Verlander would like to forget! Couldn’t resist this! “DYNAMITE” A fundraiser for Keenan Cahill: SF Giants Brian Wilson & Cody Ross bring their talents to youtube as they assist Keenan Cahill, Youtube celebrity, with fundraising efforts. Get more information on the fund raising efforts of Brian and Cody here at Brian’s website! Ballpark Food Recipes! ….. Umm, Umm, Good! 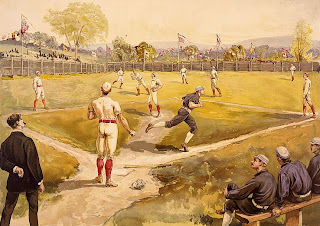 It’s baseball season again and I’m thinking of family get-togethers, picnics and hotdogs! AT&T Park in San Francisco will allow you to bring food and beverages into the park which is great for families with little kids . If the economy’s taking a bite out of your pocketbook, and that includes a lot of us right now, you might consider taking a basket full of goodies to the park. If you prefer to watch the game at home and want to enjoy a little of the ballpark atmosphere food-wise, here’s some items you might consider for just good eating, especially during baseball season! We’ve talked about other recipes throughout the year here on this blog; Garlic Fries of course, and those famous Maryland Crab cakes. And we’ve talked about my very favorite ballpark food at Citi Field Park in New York, Nathan Hot Dogs and the famous Roxy’s Delicatessen in New York City. Here are a few more to get you thinking along these lines and to wet your whistle! 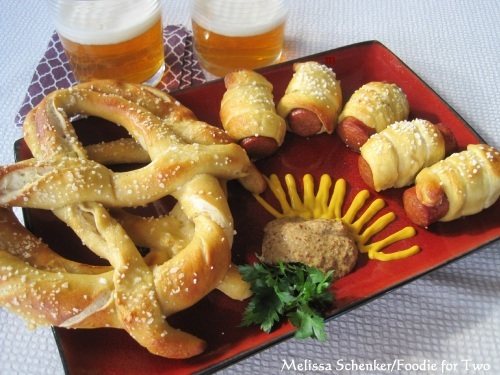 HOMEMADE SOFT PRETZELS & PRETZEL DOGS! Here’s a dandy that’s been tested and proven to be a 5 Star Winner. This recipe is provided via “Foodie For Two” especially for Opening Day of Baseball Season! Be sure and visit the website for this one. 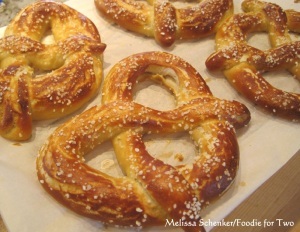 Melissa has some little fun tidbits about her recipe that make eating it much more fun! Preheat the oven to 450 degrees F. Line 2 half-sheet pans with parchment paper and lightly brush with the vegetable oil. Set aside. Bring the 10 cups of water and the baking soda to a rolling boil in an 8-quart saucepan or roasting pan. In the meantime, turn the dough out onto a slightly oiled work surface and divide into 8 equal pieces. Roll out each piece of dough into a 24-inch rope. Make a U-shape with the rope, holding the ends of the rope, cross them over each other and press onto the bottom of the U in order to form the shape of a pretzel. Place onto the parchment-lined half sheet pan. Place the pretzels into the boiling water, 1 by 1, for 30 seconds. Remove them from the water using a large flat spatula. Return to the half sheet pan, brush the top of each pretzel with the beaten egg yolk and water mixture and sprinkle with the pretzel salt. Bake until dark golden brown in color, approximately 12 to 14 minutes. Transfer to a cooling rack for at least 5 minutes before serving. At last week’s opening game I ordered a huge bag of Kettle Korn…..huge! It was in a plastic bag, probably 2 feet long (really!) and, at least I thought, it was pretty much tasteless! 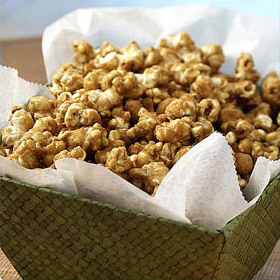 As we munched on the first couple of bites I reminisced about my sister Pat’s homemade caramel corn she made in the oven at Christmastime one year. It was the very best I’d ever eaten, probably because it didn’t have any hard pieces you could break a tooth on. You probably know what I’m talking about. But anyhow, it made me want to run home and make my own, which I did and here’s the recipe if you want to be a real hero with popcorn lovers everywhere! PAT’S OVEN CARAMEL CORN WITH LOTS OF NUTS! Heat oven to 250°F. Combine popcorn and peanuts in roasting pan; set aside. Combine brown sugar, corn syrup, butter and salt in 2-quart saucepan. Cook over medium heat, stirring occasionally, until mixture comes to a full boil (8 to 10 minutes). Continue cooking, stirring occasionally, until candy thermometer reaches 238° F or small amount of mixture dropped into ice water forms a soft ball (3 to 5 minutes). Remove from heat; stir in baking soda. Pour mixture over popcorn, stirring until all popcorn is coated. Bake, stirring every 15 minutes, for 1 hour or until caramel corn is crisp. Remove from pan immediately. Cool completely, stirring occasionally. Store in tightly covered container. This is a family favorite that I’ve only made 3 times in my life. But they’re easy to make and everyone loves them! Mexican food is one of my favorites and tamales are easy to pack and carry, since they come in their very own “package”. If you’ve never made tamales, here’s a video that might give you an idea of how it’s done, but, trust me, use the recipe below and you can’t go wrong! Place pork along with garlic and onion in a skillet and add water to it. Bring it to boil. When it starts boiling, reduce the heat and allow it to simmer for about 2 hours, until the meat is cooked well. Remove stems and seeds from the chili pods and place them in a saucepan. Add 2 cups of water and let it simmer for about 20 minutes. Remove from heat and allow to cool down. Blend chili and water in a blender, until a smooth paste is formed. Then, strain this mixture and add salt. Shred the cooked pork and add to it one cup of chili sauce. In a large bowl, mix a tablespoon of beef broth with the lard, until it becomes fluffy. Mix together masa harina, salt and baking powder and add the lard mixture to it. Add more broth if required, to make a spongy dough. Now let’s prepare the corn husks for wrapping. Clean the corn husks and soak them in a bowl of warm water to soften them. Spread the dough over the corn husks to the thickness of about ¼ to ½ inches. Add 1 tablespoon of meat filling at the center. Fold the sides of husks towards the center and tie with a string. Place tamales into the steamer and allow them to cook for about 1 hour. Remove tamales from the husks and sprinkle the remaining chili sauce over them. Then add sour cream on the top. EASY OLD FASHIONED BAKED BEANS! I love anything that saves time and using big old cans of beans will do that! 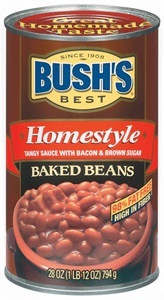 If you have lots of time, of course, go ahead and soak the beans overnight and then cook the daylights out of them for 2-3 hours and then start the cooking; however, Costco has those huge cans of beans for under $5 and it’s one of those great bargains that make these recipes fun! Take a can of beans, add the bacon and your own serving dish and ….who knew? In a large bowl combine beans, chili sauce, onion, brown sugar and bacon. Pour into a 9×13 inch casserole dish. Bake in preheated oven for 45 minutes to 1 hour. 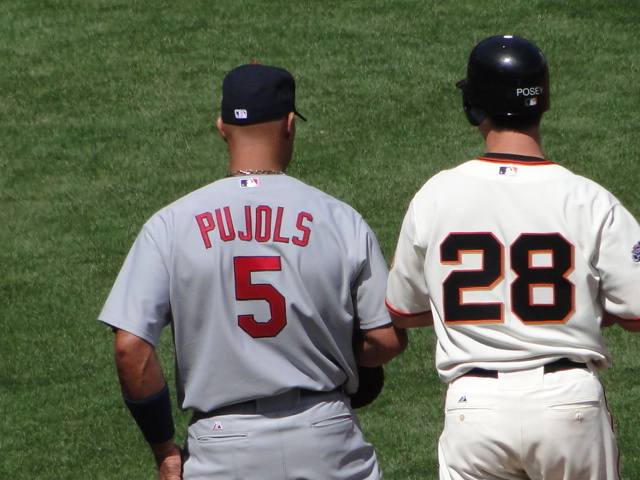 Back on September 8, 2010, I posted a blog titled “Athletic Baseball Players …. You Kidding me?” The blog dealt with a video and photo’s of baseball players performing athletic acrobatics in pursuit of their craft and presumably during a game. 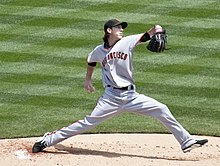 This video of Tim Lincecum takes the cake! I’ve seen this type of thing before; the bizarre contortions a pitcher’s body goes through in pursuit of that all perfect pitch. This is one of a series of amazing videos Red Bull has produced and I hope you find it as interesting and amazing as I did! This morning in the San Francisco Chronicle, a headline read “GIANTS FAN ON LIFE SUPPORT AFTER L.A. BEATING“. When I first heard about the attack I wasn’t surprised. It’s happened before. Back in 2003, a fan was shot in the Dodgers stadium parking lot after a game, and then again, in 2009, in the same parking lot, a man was stabbed after leaving a home-opener game there. So ho-hum, (yawn) here we go again. But then I picked up the local Santa Cruz Sentinel and the headline read “SANTA CRUZ MAN CRITICAL AFTER BEATING AT DODGER STADIUM“. Please read the article. It will give you a better perspective. It’s rather sad that I accepted the story as being routine until I found out it was one of my neighbors, someone from my home town. All of a sudden it becomes really personal, and that’s not acceptable. 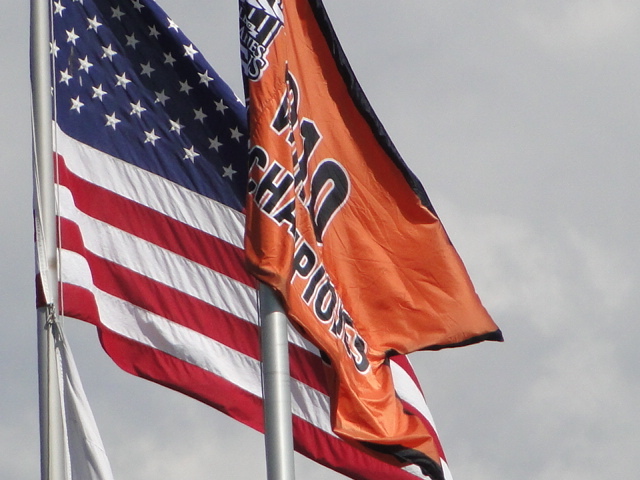 This type of story should involve all of us, everywhere, and not just baseball fans. How many times have you heard about a crime where there were onlookers, passersby everywhere and no one stopped to lift a finger, to intervene? In this situation, imagine leaving a baseball stadium with thousands of people walking, totally ambivalent to their surroundings, or probably aware, but just don’t want to get involved. It happens all the time. 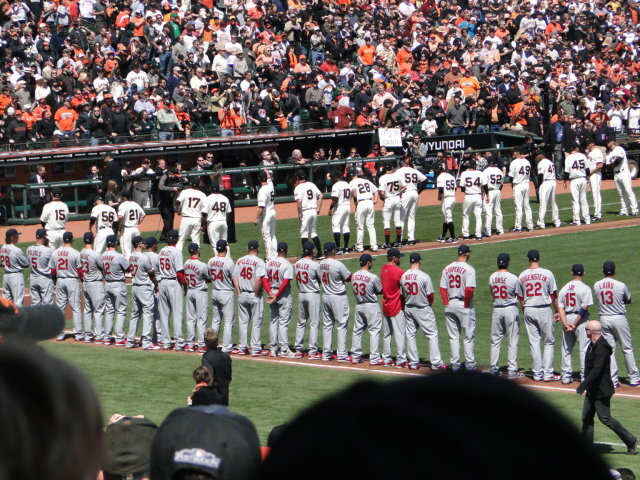 In February I purchased tickets to this very game, the season opener with the World Champion Giants vs. the Los Angeles Dodgers! Whatta game that would be! I’d never been to an opening game before so I was stoked; only to receive an email a few weeks later from Stubhub announcing the tickets had to be cancelled and refunded (evidently they had the game time at 1:00 PM instead of the actual 5:10PM game time and had to reissue the tickets. I never found out exactly what it was about, but nonetheless, when I tried to repurchase the tickets, it was not to be. They were sold out. Oh really? Talk about naive. The statement above would be good for another blog but I’ll refrain, for now. The reason I was so intent on blogging this morning was because I believe there’s a high probability the perpetrator of this crime wasn’t even a Dodger fan! Think about it. The Dodgers won the game! And it was a great game! The Dodger’s young pitcher, Clayton Kershaw, had an outstanding game, and the Giants didn’t. So from a Dodgers perspective, what was there to get so ticked off about? What was it about the game that would make someone become a total jerk? It’s pathetic. I’m guessing these guys probably fit the stereotype of a bunch of thugs, no job, nothing to do, totally miserable with their life , and this is how they get their kicks. And even though no one stopped to intervene, they certainly weren’t standing around cheering the guys on. That ambivalence is a societal problem that’s probably here to stay, spurred on by the litigious spirit that, unfortunately, surrounds each of us on a daily basis. I don’t know. I’m just saying I feel bad for the Giants for losing the game, of course. But I also feel badly that the Dodgers fans who earned the right to revel in their glory after beating the World Champions should have been able to enjoy the win without having this albatross around their neck. BRYAN STOW FUND, C/O SF POLICE CREDIT UNION.